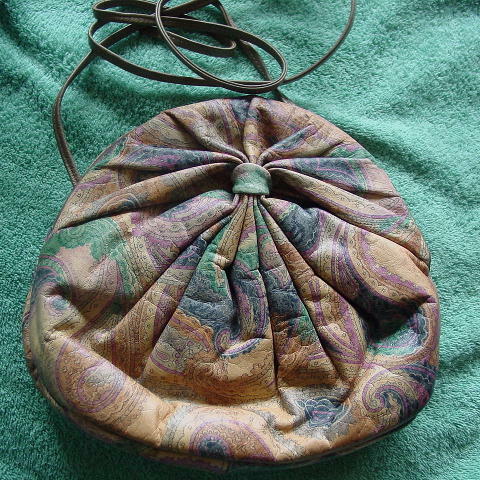 This vintage leather purse was made in the USA by Michael Frange. 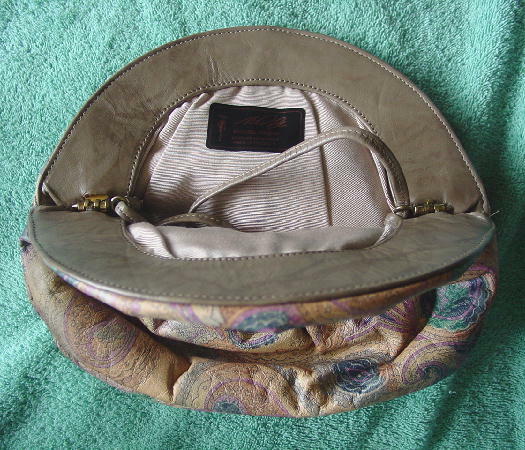 It has a 52" long (on the exterior) by 1/4" wide leather light taupe shoulder strap. 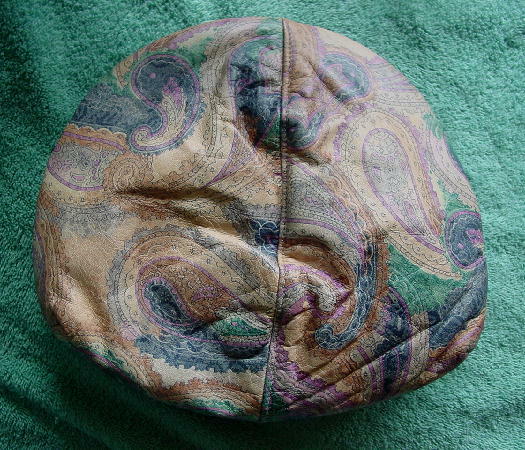 The exterior leather is gathered on the front and is in seafoam-teal, blue, light pinkish orchid, very light camel, pale pink, and light caramel-brown with a paisley design. It has interior side hinges and light taupe leather around the cocoa grosgrain fabric lining. You could tuck the strap inside and carry it as a clutch. She said she only used it once, to a Broadway play opening, and then she added it to her display collection.